is a blocky 4 lobed hybrid green variety. You too can grow these beauties that sets fruit within 65 days of transplanting. 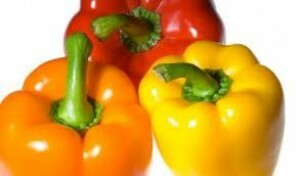 Have you seen the prices of Yellow Bell Peppers in the supermarket. Why not grow your own? A vigorous growing and high yielding hybrid, that turns from vivid green to golden yellow. Be the envy of your neighborhood when you grow these glowing masterpieces. Maturity 85-90 days. Tall vigorous plants with broad leaves produce 4 lobed fruit that are firm, sweet and large weighing upto 9 oz. The shiny smooth dark green turn red upon maturity. The young square-shaped fruit starts out dark green, and becomes orange upon maturing. The size is about 9.1 cm long and 8.9 cm in diameter, weighing about 8 ounces, and can be harvested at about 105-110 days from sowing. It also has unique fruit color and tastes sweet and crisp. Resistant to Potato virus Y. A dark green chilli for fresh use. 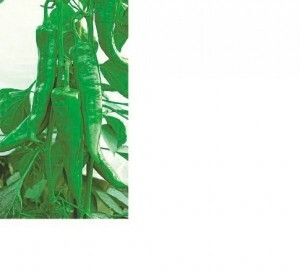 Plants are tall, vigorous and virus tolerant, fruits are long and thin (4 in. 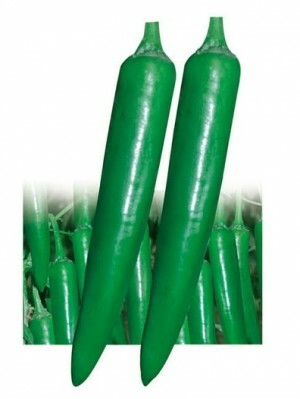 ), dark green, smooth, mild in flavor and high yielding. Hybrid. Medium pungency, wrinkled long(16 cm), thin skinned, good dry or fresh. Dark green, thick peppers with a smooth surface. Fruit are uniform with good keeping quality. Mild to medium pungency. Tolerable to leaf curl disease. 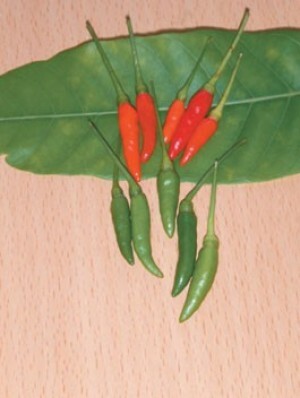 Also known as "Bird's eye pepper", this variety is popular in Kerala and in Sri Lanka. 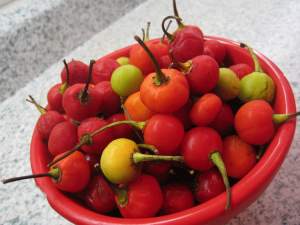 The bird's eye chili plant is a perennial with small, tapering fruits, often 2 to 3, at a node. The fruits are very pungent. The flowers are greenish white or yellowish white. 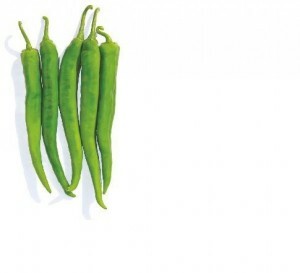 The chilies are small (only 1-2 cm) and not extremely hot, and is often used in chutneys and pickles. It measures around 50,000 to 100,000 Scoville units. It can be harvested in 70-80 days from sowing. 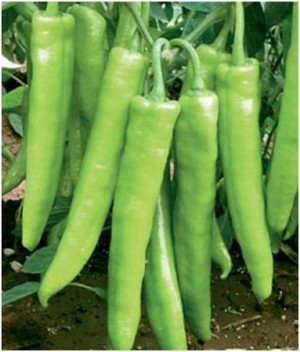 (Capsicum frutescens) Bird type Thai chilli, erect plants with upright fruits 3 to 5 cm long, 0.8 cm diameter, light green to bright red color. Does very well grown in pots. Marketed and sold as Christmas peppers. Very pungent taste. Excellent yielding thick fleshed chili pepper. Light green in color, glosssy very straight and smooth. Medium pungency makes it ideal for dipping in chick pea batter and making bhaji (pakoda). Plants are vigorous and medium tall producing 7-8 inch long peppers. They are also early maturing, with high density fruiting, with high disease, heat, and moisture resistance. Approx 60 seeds per packet, 4500 seeds per oz. An hot variety that bears its fruit in a cluster, each 6-7 cm long. They turn from vivid green to red. 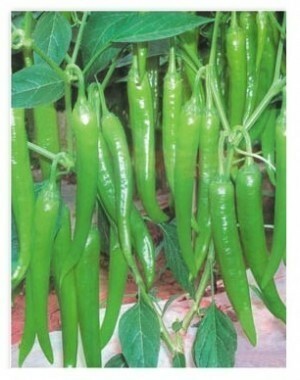 This variety is also known as Chaotian (facing heaven) chili in China and has the following characteristics: 1.Medium-late maturing type, beautiful uniform shape, and pungent 2.Upward facing, 6-7 fruit per cluster, length 6-7cm, diameter 1cm, average weight 3-4g, strong fruiting ability. 3.Hot, big plant, resistance to mosaic virus. 4.Fresh or dry, great for stir-fry with hints of citrus flavor. 5000 seeds per oz. Extremely hot variety bearing straight fruit that are 5-6 cm long. A fiery but delicious spherical hot pepper with traces of sweetness. Meenu is round to oval and fleshy and heavily seeded. It matures from green to red. 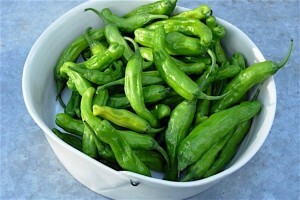 It is considered an extremely good processing, pickling and home garden pepper. Heat Index: Scoville Units of 5000 . 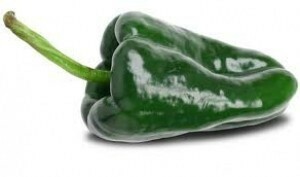 Serrano peppers originated in the mountainous regions of Mexico. They're meaty and hot (Scoville units of 25,000), and great for salsas and guacamole. Although not originating from India we are proud to carry seeds one of the hottest known pepper variety. 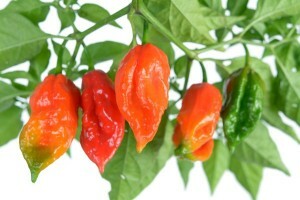 The heat is in the range of 350.000 Scoville Units. This variety from Mexico changes from green to bright orange and is shaped like miniature Chinese lanterns. 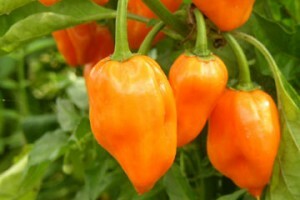 For our customers from Guyana and other adventurous gardeners, we are pleased to carry seeds of the "Wiri wiri" Pepper. 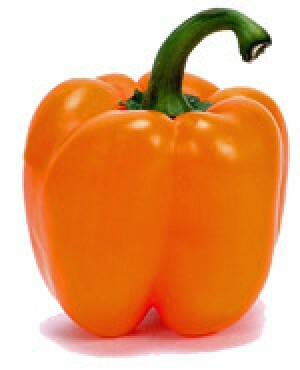 A type of Capsicum frutescens found in the Carribean, this tiny pepper rivals habanero in heat. Excellent for salsas, and curries. 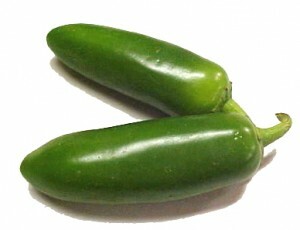 A mild chile originating from Puebla, Mexico. 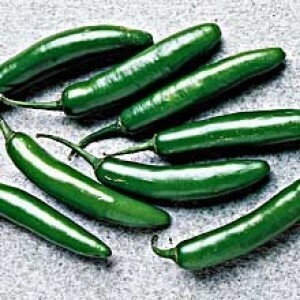 Used extensively in Mexican cuisine for making Chile relleno, as well as other stuffed recipes and mole sauces. When dried, the pepper is referred to as Ancho peppers which is slightly hotter in taste. Heat Index: Scoville Units of 2000. 1 ea of AGNI, ARUNA & KANTHARI HOT PEPPERS. 1 ea of ARUNA, AGNI, and MEENU. 1 ea of TAZA, DULHAN and HABANERO. 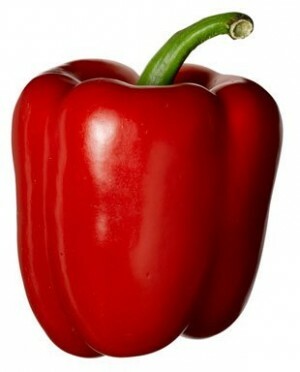 Shishito pepper - NEW FOR 2019! A sweet, East Asian variety of the species Capsicum annuum. Whether grilled, charred, or skewered, shishito peppers add a kick of flavor to any dish. Just watch out: While the majority of these small green peppers are mild, about one in 10 is spicy enough to make your eyes water. These peppers are best sprinkled with crunchy salt and eaten within minutes of coming off the heat.